IMPORTANT UPDATE: As agreed at the AGM we will be publishing a list of dates and asking for ride leaders for club rides. All members are asked to offer to put their name against a couple of dates. All routes will be provided on a monthly basis as usual. Of course if you cannot make a date you offered for any reason all you need to do is ask someone to do it for you and if you are unsure of what it entails then please ask any committee member. Please let us know if you ARE coming on any club rides and if you are meeting en route. SUNDAY 14th – 5k Family Cycle Challenge leaves Manchester Square at 11am – please make every effort attend as we would like to fully support this cycle event in our town. If you have kit please wear it. Some marshalling duties will be required and explained during a briefing prior to the start. Thanks. 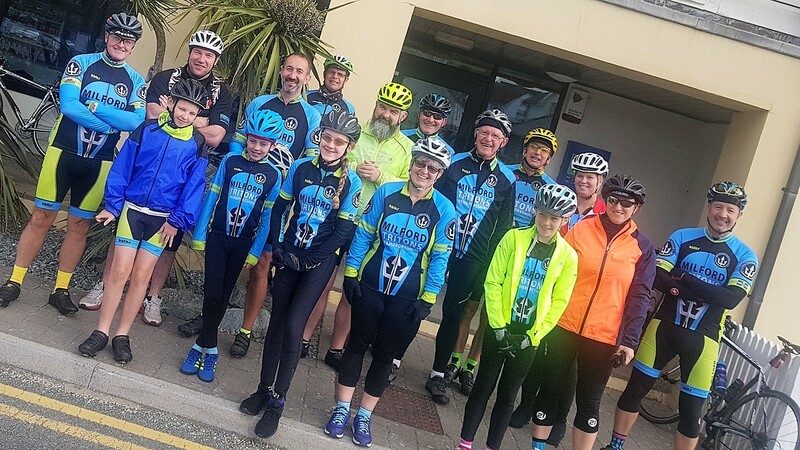 SUNDAY 29th – COFFEE RIDE – The Coffee Ride will go to Broad Haven as it always has with all groups riding there together at a suitable pace (group size decided on the day). IMPORTANT: Routes for the return to be decided by the different paced groups – one group will always go back to The Meads. Newcomers and Beginners and our Level 2 Juniors will hopefully join us on this ride as an introduction to riding with the Club. (Non-members are allowed 2 rides with the club before deciding if they wish to join).